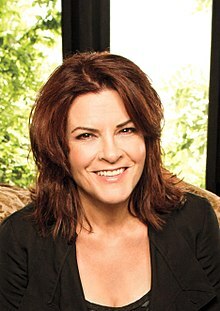 One of the country's pre-eminent singer-songwriters, Rosanne Cash has released 15 full length albums for which she has earned four GRAMMY Awards and nominations for 11 more. In 2015, she was inducted into the Nashville Songwriters' Hall of Fame. She is the author of several books including bestselling memoir Composed, and Bodies of Water, a short story collection, as well as editor of the anthology Songs Without Rhyme: Prose by Celebrated Songwriters. Her essays have appeared in The New York Times, Rolling Stone, the Oxford-American, the Nation and many more publications. In addition to continual worldwide touring, Cash has partnered in programming or served as artist in residence at Carnegie Hall, Lincoln Center, San Francisco Jazz, the Minnesota Orchestra and The Library of Congress. She was awarded the SAG/AFTRA Lifetime Achievement award for Sound Recordings in 2012 and received the 2014 Smithsonian Ingenuity Award in the Performing Arts. She was chosen as a Perspective Series artist at Carnegie Hall and hosted four concerts during their 2015/16 season, and she continues her association as Creative Partner through the 2017/18 season. Rosanne Cash was born in Memphis in 1955, the oldest child of Vivian Liberto Cash Distin and the legendary musician Johnny Cash, and has written about her life and her upbringing in the acclaimed memoir Composed. She currently resides with her husband and son in Manhattan, where she and husband/co-writer/producer and arranger John Leventhal are currently working on the music and lyrics for a new musical.